Hello children! December is only days away and soon it will be Christmas time. Have you begun your preparation for the holiday season yet? 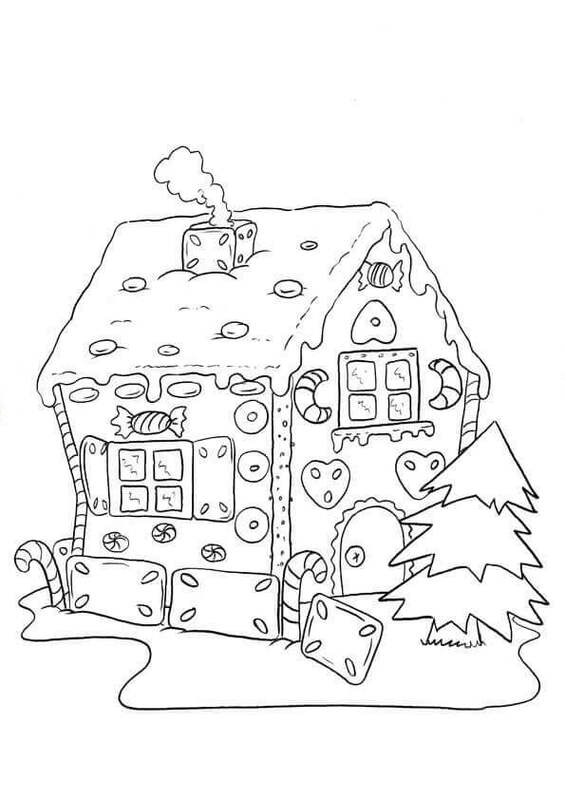 If not, then we are here to help you get a head start with this collection of free printable gingerbread houses coloring pages. Gingerbread house is a building made up of baked cookies that have been cut into proper sizes and shapes to be used as walls, roofs and other components of the building. It is widely believed that making gingerbread houses first began as a result of the Grimm brothers’ fairy tale “Hansel and Gretel”. In the early 1800s, bakers started making such houses, gaining popularity around Christmas. The Pennsylvanian German immigrants brought this tradition to America. 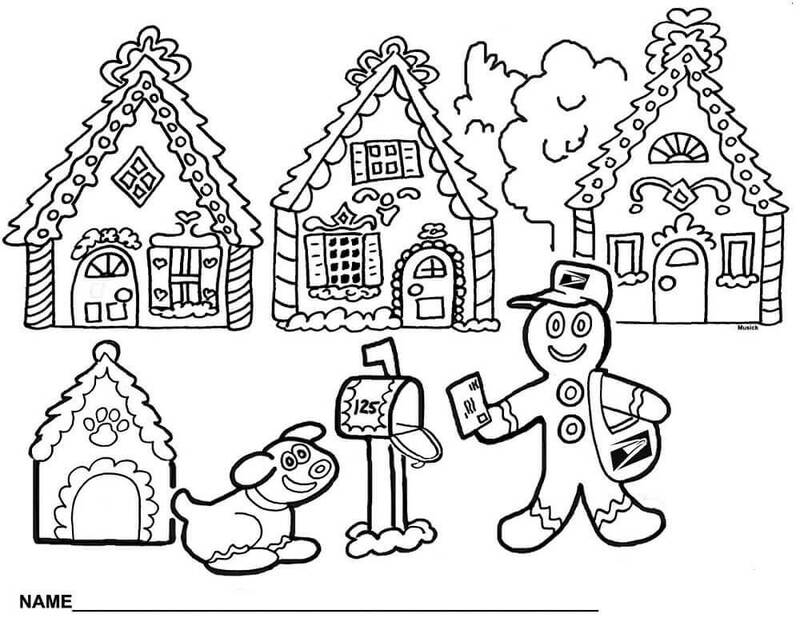 Let’s get to know more about gingerbread and color some exciting gingerbread house coloring sheets to print. Gingerbread is perfect for confectionery building and construction purposes due to its rigidity. Look how upright this gingerbread house is with its chimney on the roof. It even has candies representing garden trees in front of the house. All it needs is some colors to make it look bright and festive. 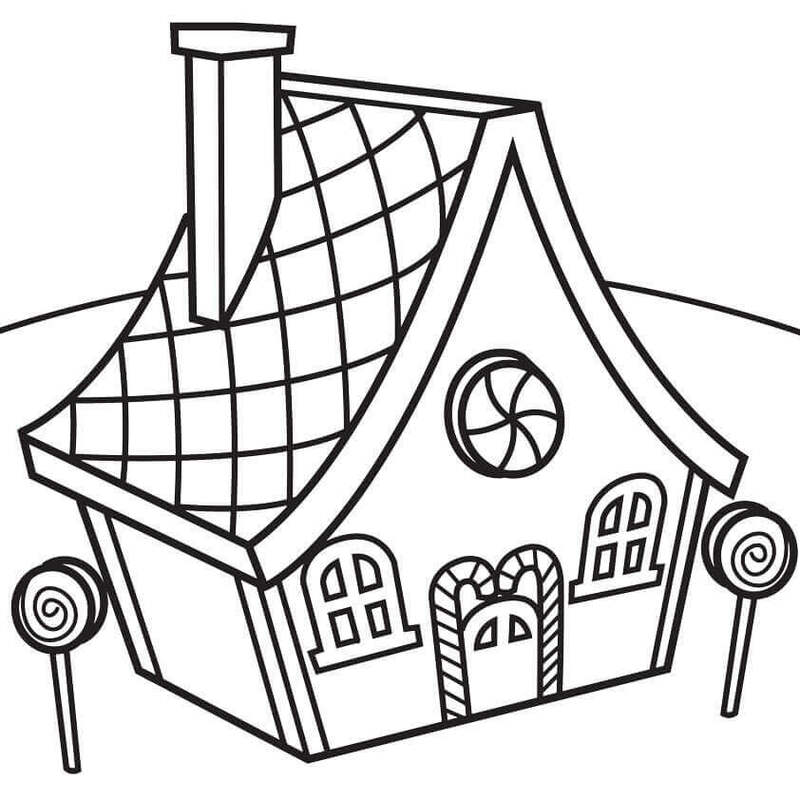 Many families will be making their own gingerbread houses ahead of Christmas. Imagine how much fun it will be if you could visit all those tiny gingerbread houses in some magical town. 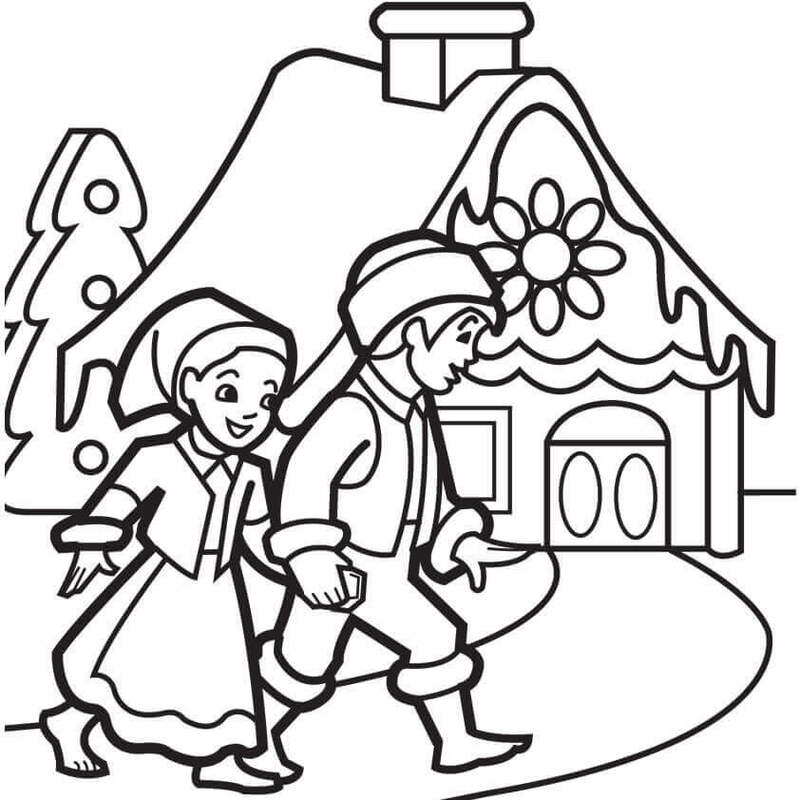 Like this little boy and girl, who have come to visit one such beautiful gingerbread house. 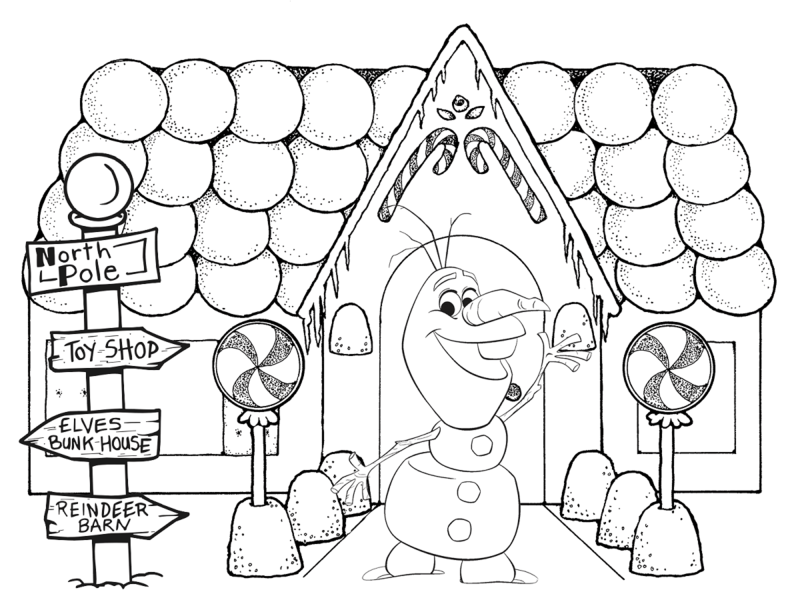 Make their visit a colorful one by printing and coloring this page. Although gingerbread is edible until a couple of weeks, it can last as good as new for years. That is why you will find the same gingerbread houses are used for decorations sometimes. If the houses are as brilliantly built like the one on this illustration, you will want to keep it too. 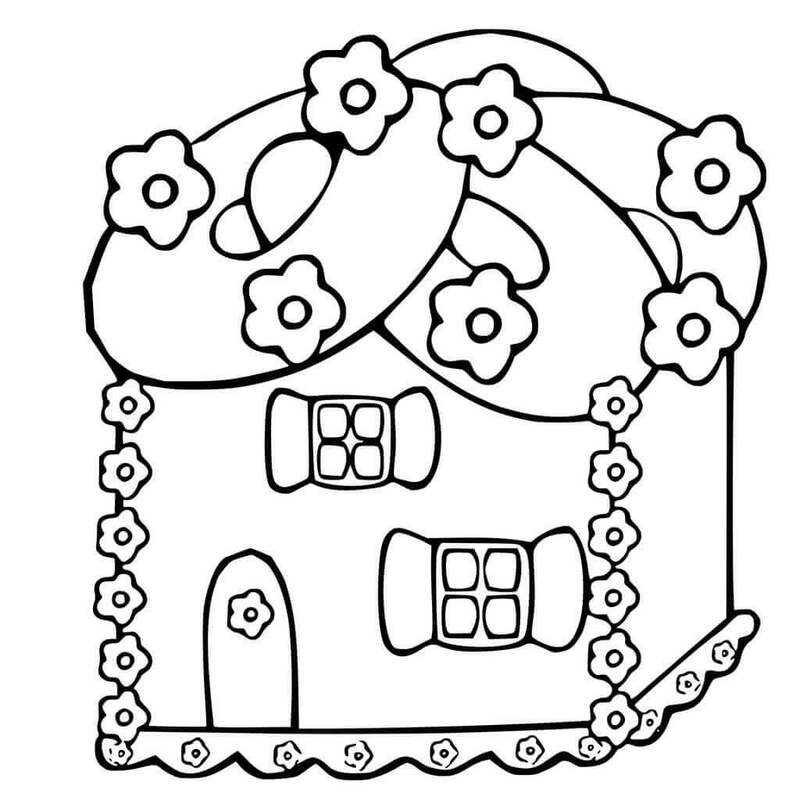 You can expertly color this coloring page and make it look good for years. The roof design looks so real in this illustration, doesn’t it? 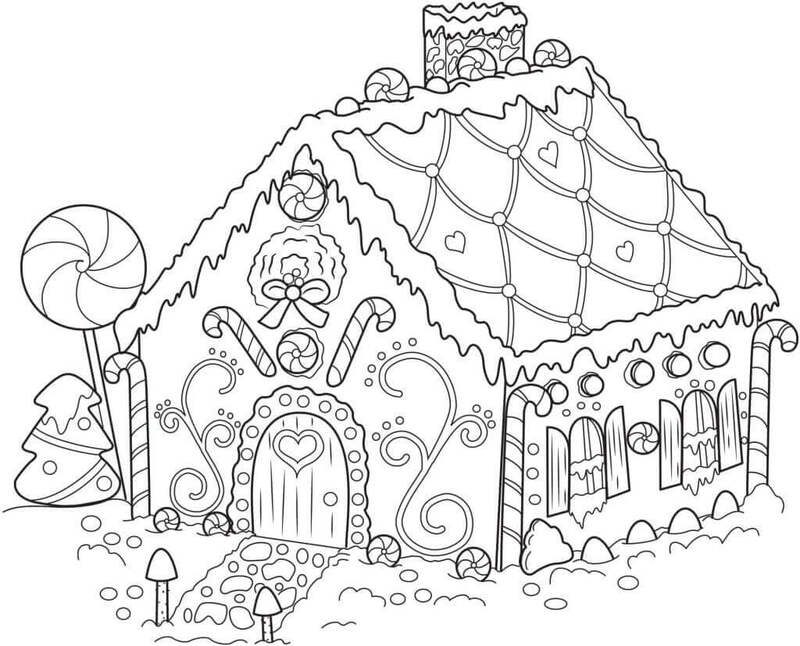 Frostings are used to create the roof tile effect for most of the gingerbread houses. The clever use of candy canes on the roof above entrance makes for a grand design. If there are gingerbread houses, then there will be gingerbread people living in the house as well. These two enthusiastic homeowners are here to welcome all their visitors with their season’s greetings. Gingerbread is a hard cookie and can be tough to stick together. That’s why you will find that royal icing is generally used as adhesive to firmly glue them together. This gingerbread man is looking so happy to get back to this gingerbread house and find it still standing strong in one piece. There are two main ingredients in a gingerbread: ginger and cinnamon. Besides these two, spices like nutmeg and cardamom are also used. You can find out about your own family recipe. 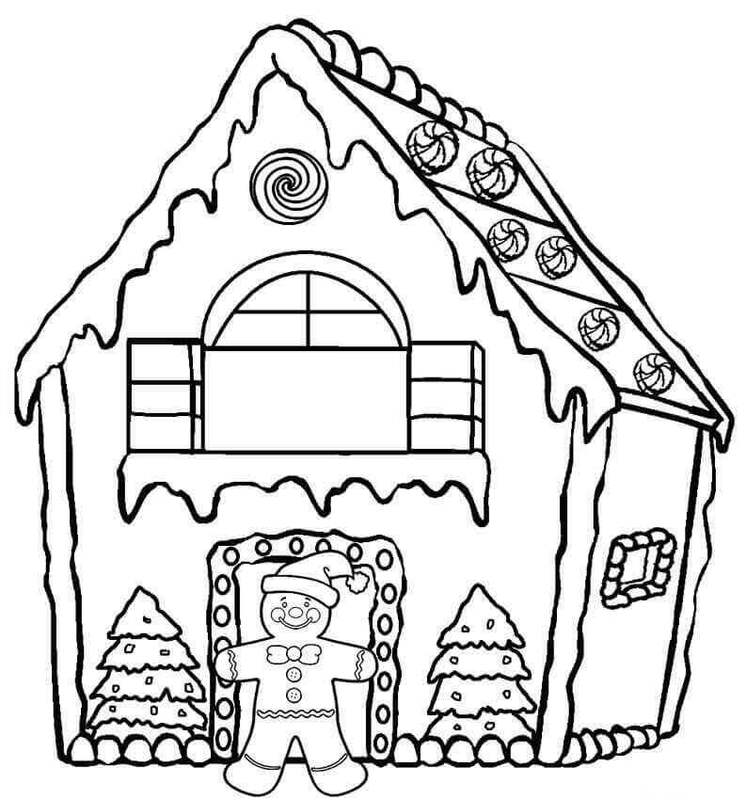 Perhaps even help in baking and cutting them out into shapes to construct your gingerbread house like this one. The gingerbread houses are decorated with edible elements resembling popular Christmas ornaments and even real decorations are used. You can see this attractive gingerbread house has used candy canes, lollipops, and other sweets as decoration. Print and color them bright to suit the festive spirit. There are special days in some countries for making gingerbread houses. 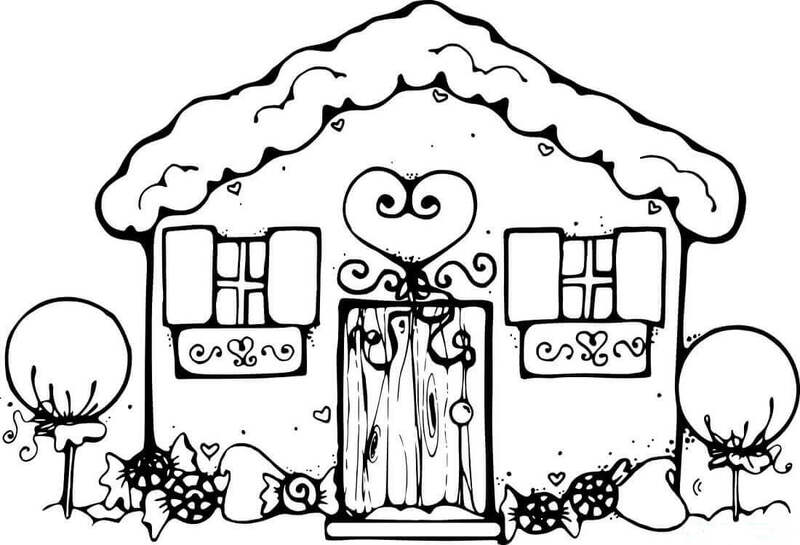 In Sweden, people usually construct their gingerbread houses on Saint Lucy’s Day. 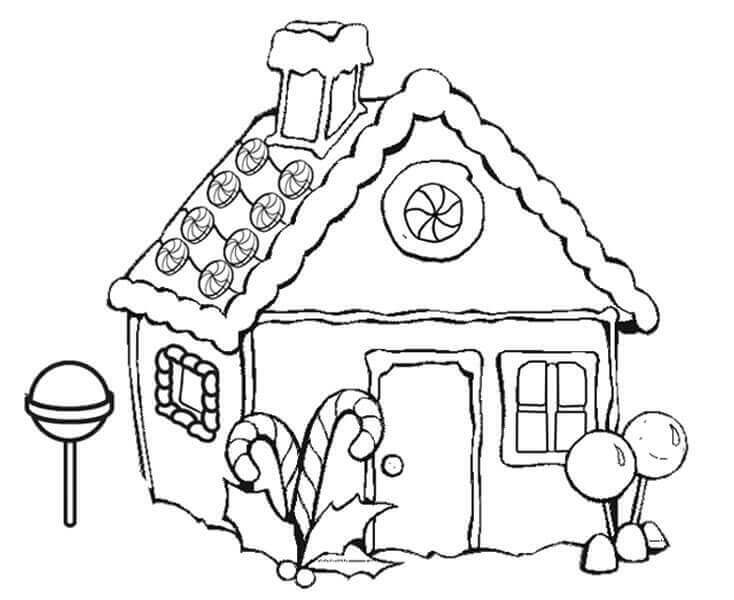 This illustration shows a complete setting with a snow-covered gingerbread house, lawn, and trees. Gingerbread was not known around the world before. The popular belief regarding the origin of gingerbread is that it was first baked in Europe when the custom of spicy bread was brought back from the Middle East. If it was not invented, then you would have missed the opulent extraordinary entrance of this gingerbread house. 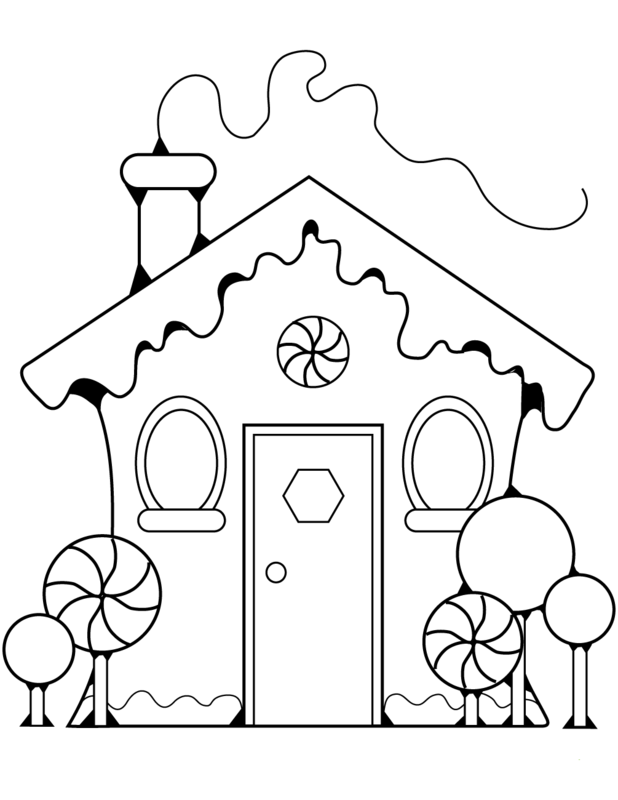 You can print and add colorful details to this coloring page. Making of gingerbread into different shapes was done as early as the 13th century by monks in Franconia, Germany. These days you can find extensively designed shapes and structures out of gingerbread. 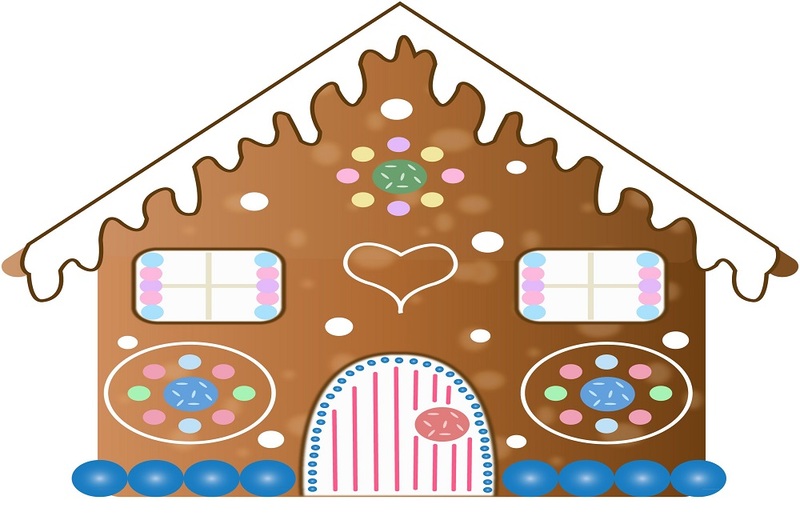 This gingerbread house illustration shows how finely everything is shaped and constructed. Even the decorations are full of festive spirit. The famous ballet, “The Nutcracker”, which premiered in 1892 referenced gingerbread when the titular character fought the Mouse King with the help of an army of gingerbread men. Those gingerbread men would have loved to stay in a stunning gingerbread house like this one. Print this page and design it with lively colors. Have you ever wondered why gingerbread lasts for as long as it does? It is because one of its main ingredients, ginger, has preservative properties. That’s why even when the gingerbread houses, like this pretty one, are built before Christmas, they are still good to be eaten after Christmas. Making figurines out of gingerbread is known to have been practiced as early as 15th and 16th centuries. The first recorded account is of Elizabeth I of England who had gingerbread figurines made of her guests. Look at these excited gingerbread people! Greet them with your fine colors. Nuremberg in Germany was in the 1600s recognized as “Gingerbread capital of the world” when master bakers were employed to create complex work of art using gingerbread. This gingerbread house with its exquisite decorations is a work of art that needs your help. Print and color this page to bring out its true colors. We now have modern methods to cut and shape the gingerbread cookies. But in medieval times, boards were carved and used to create elaborate gingerbread designs. 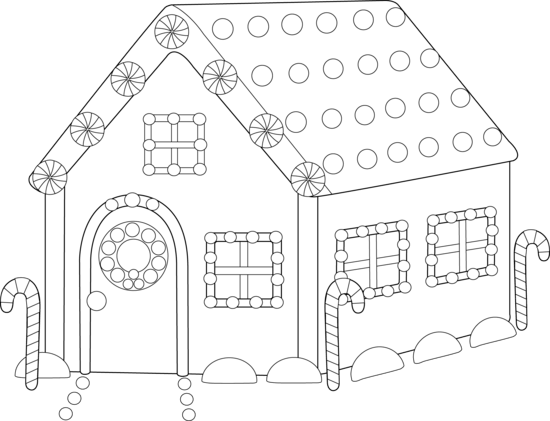 Making something beautiful like this gingerbread house in the illustration would have taken a lot longer in those times. Gingerbread houses come in various designs. Your imagination is the limit. If you have an idea for a gingerbread house, you can find out with your parents if it will be possible to make it this year. 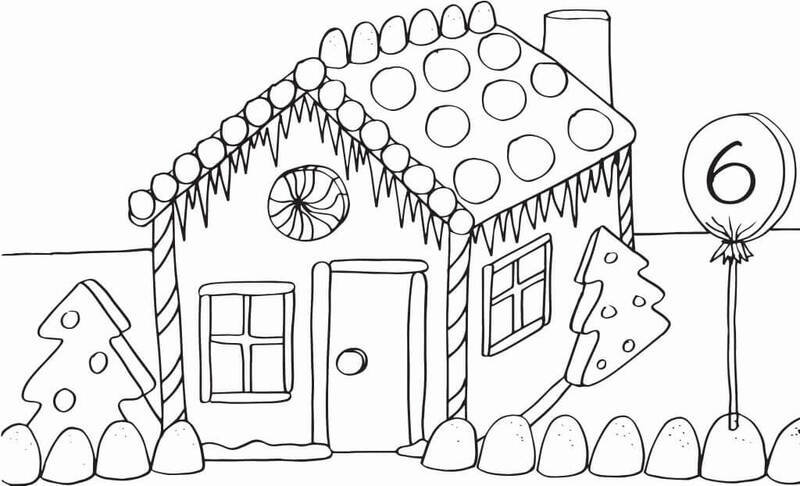 Printing this page and coloring this expertly designed gingerbread house, might give you some wonderful ideas. Did you know that only professional bakers could bake gingerbread in the 17th century? However, the rule was relaxed to allow anyone to bake it during Christmas and Easter. Now, you can bake and eat gingerbread any time of the years. You can practice your gingerbread house making skills way early in the year too. 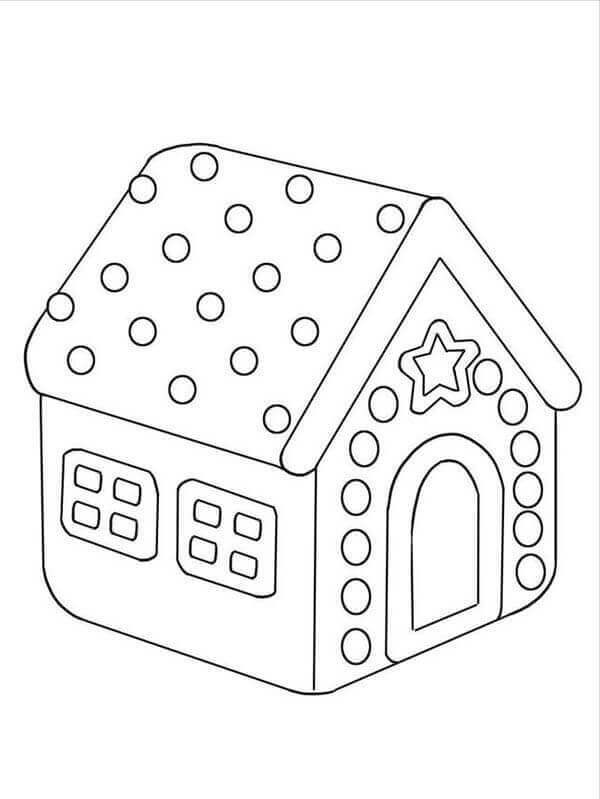 Let’s use your coloring skills for now by printing and coloring this page. According to the Guinness World Records, the largest gingerbread house was made by Traditions Club, USA on 30 November 2013. It measured at 60 feet long, 42 feet wide and 10.1 feet tall. It may not be the largest, but this gingerbread house can certainly win prizes for being the cutest. 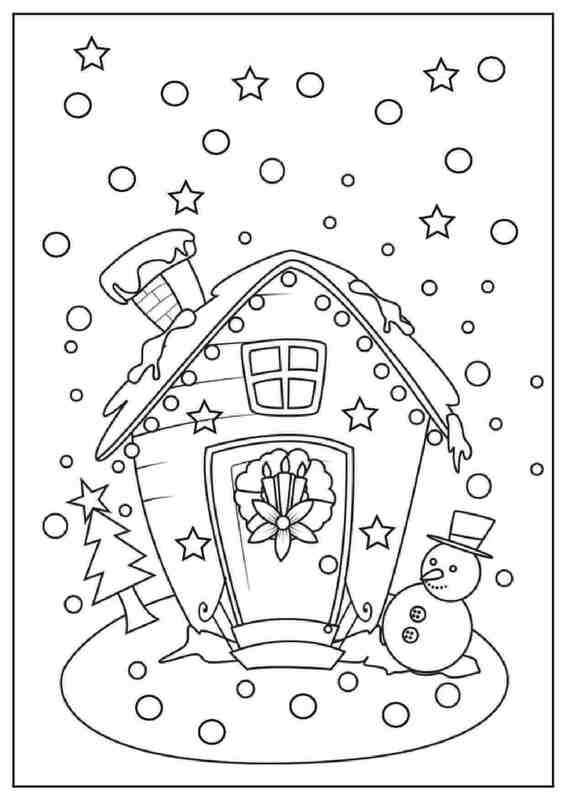 Print this page and bring out the details with your adorable coloring skill. In some places like Washington, D.C., several professionals join hands and collaborate on making a themed “Gingertown” as an annual tradition. 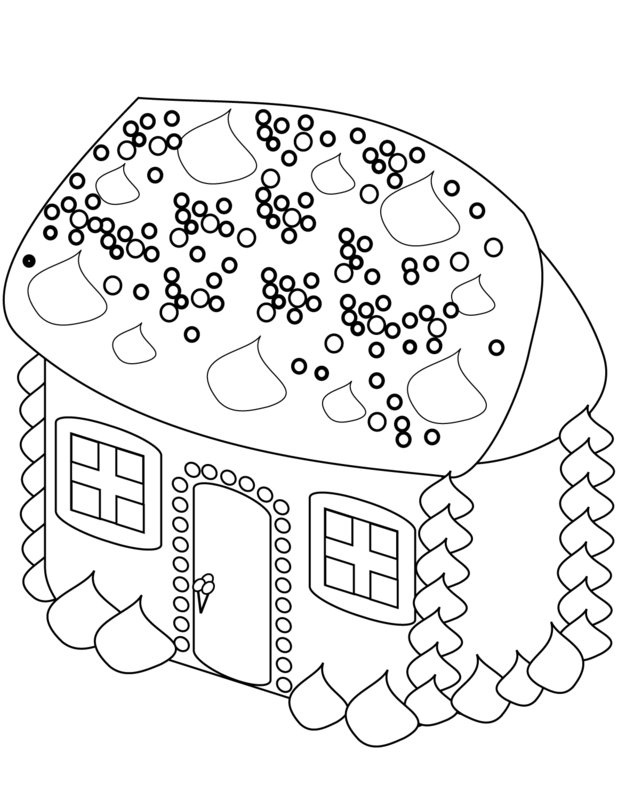 You too can start an annual tradition of printing and coloring gingerbread houses like the one in this illustration. You can make it whimsical or conventional depending on how you decide to color it. Let It Snow On Your Gingerbread House! To give the gingerbread houses and their yards a feel of the cold winter season, icing is used over the entire construction to represent snow. Look how lovely everything looks, from the house to the Christmas tree and the snowman, in the snowfall. If you make your own this year, make sure to let it snow on your gingerbread house. 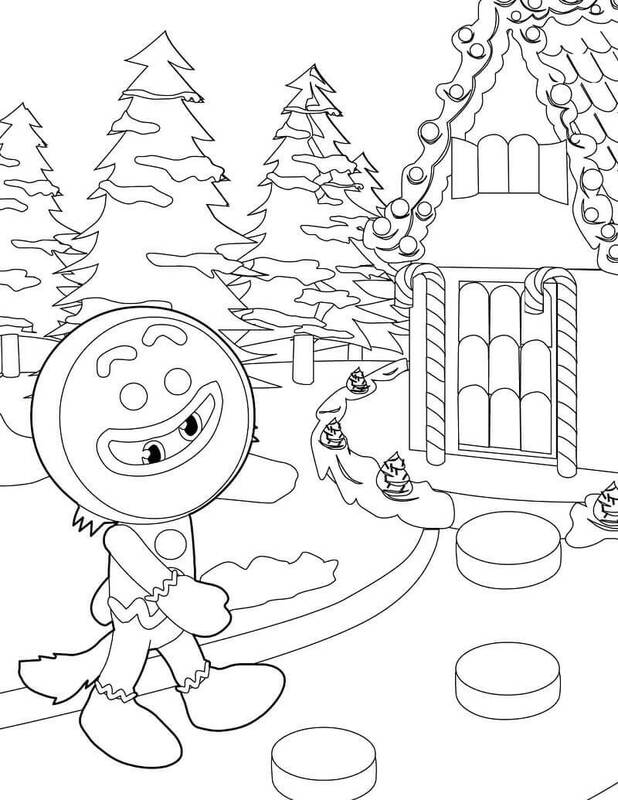 For now, print this coloring page and let the colors pop. There are some interesting traditions like in San Francisco, the Fairmont Hotel and the Westin St. Francis is known to put up their own majestic gingerbread houses during the holiday season in a healthy festive competition. With its shining decorations on the rooftop and great piping skills, this gingerbread house will surely turn out to be a winner. All it needs is for you to give it some winning colors. One French legend claims that gingerbread was brought to Europe by an Armenian monk, Gregory of Nicopolis in 992. He used to teach it to priests and other Christians. These days, almost all the household know how to make their own gingerbread. If you too can bake, then why not aim to create this marvelous gingerbread house? Make sure to involve everyone in the house. After all, the holiday season is all about togetherness. There is a place called Bergen in Norway, where everybody participates in creating a city of gingerbread houses. This tradition is known as Pepperkakebyen, Norwegian for “The Gingerbread Village” has been going on for nearly three decades. From stadiums to schools, from trains to towers, everything gets created. 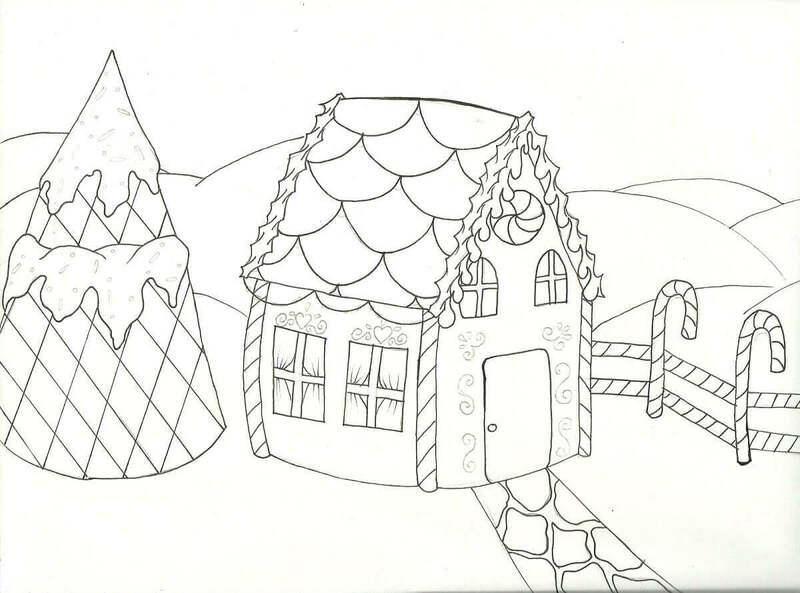 You can create wonders of your own by expertly coloring this humble representation of a gingerbread village setting. The largest gingerbread village, according to the Guinness World Records, was constructed by Jon Lovitch from the USA. The village had 1251 buildings and was displayed at the New York Hall of Science on 6 January 2017. 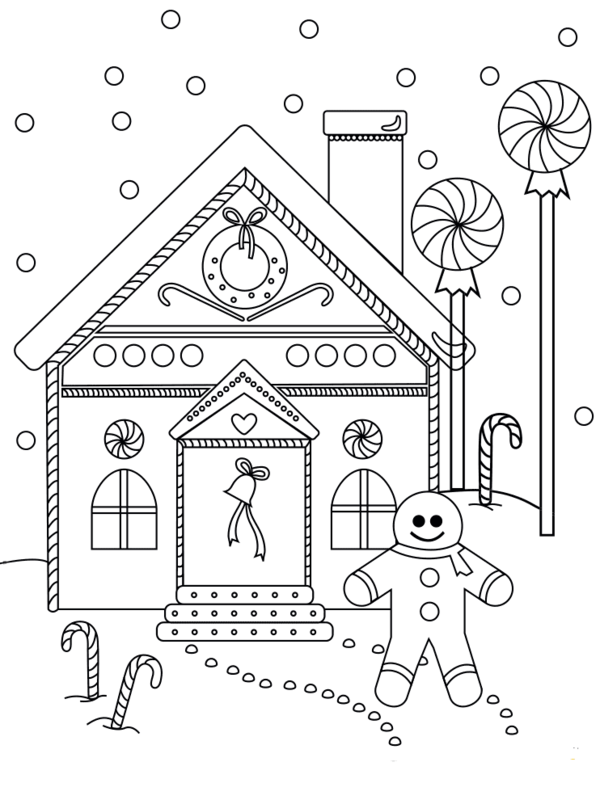 This gingerbread village in this illustration is no record holder but it looks so pretty, doesn’t it? There’s even a kennel for the gingerbread dog and a postman too. 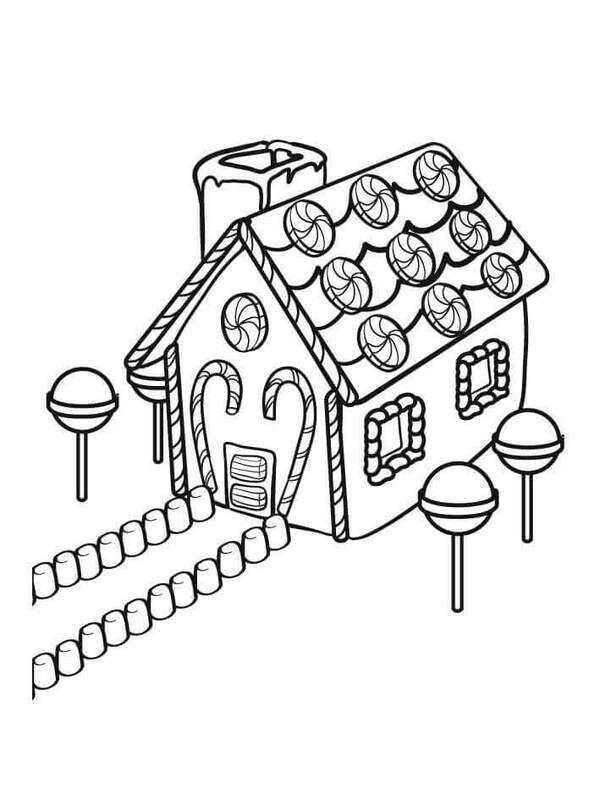 Deliver your coloring skills in the right place by printing this page and carefully coloring it. This little girl seems to be an expert at making gingerbread houses. 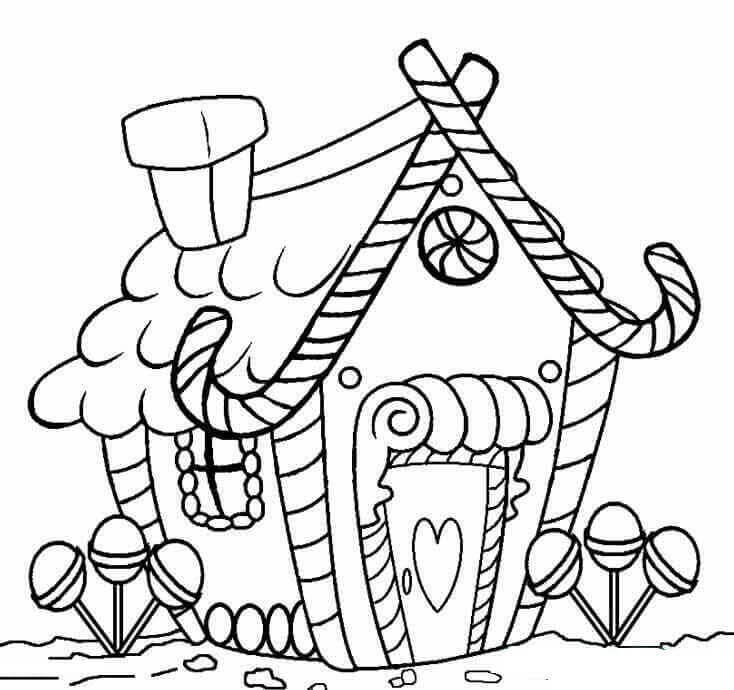 She is carefully sticking the candies using icing to decorate her house. Get inspired by her as you print and give colors to her creation. 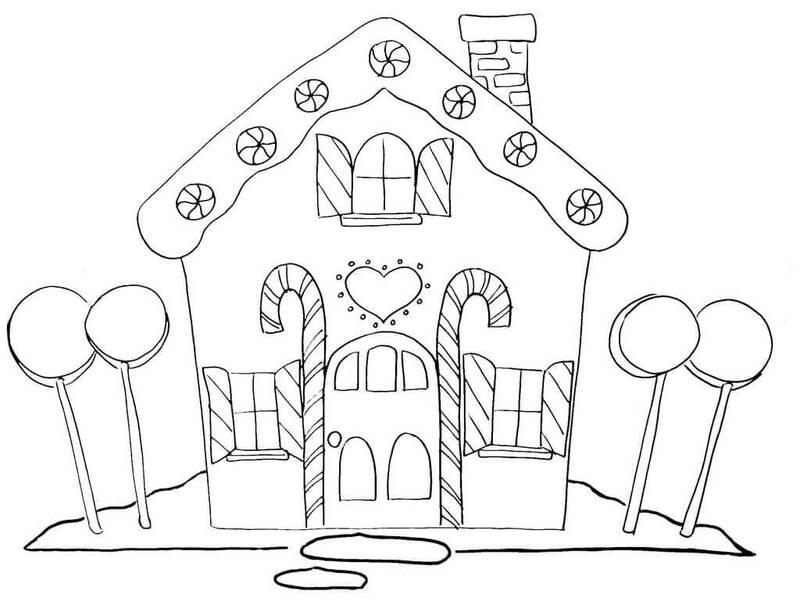 You might even end up constructing your own little gingerbread house this Christmas. Who do we have here? It’s Olaf from Frozen! He is here at the North Pole for his annual Christmas tour. Looks like he is excited to begin his tour at the Toy Store and visit the Reindeer later. Where will he stay? No worries, our friendly elves have decided to let him stay at their bunkhouse. Wish him a colorful trip by printing and coloring this page. Looking every bit excited for the festive season as well is this gingerbread man. He has such a geometrically perfect house. All the circles are perfectly round, and all the lines are perfectly straight. Even the decorations are on point. No wonder he looks so happy. 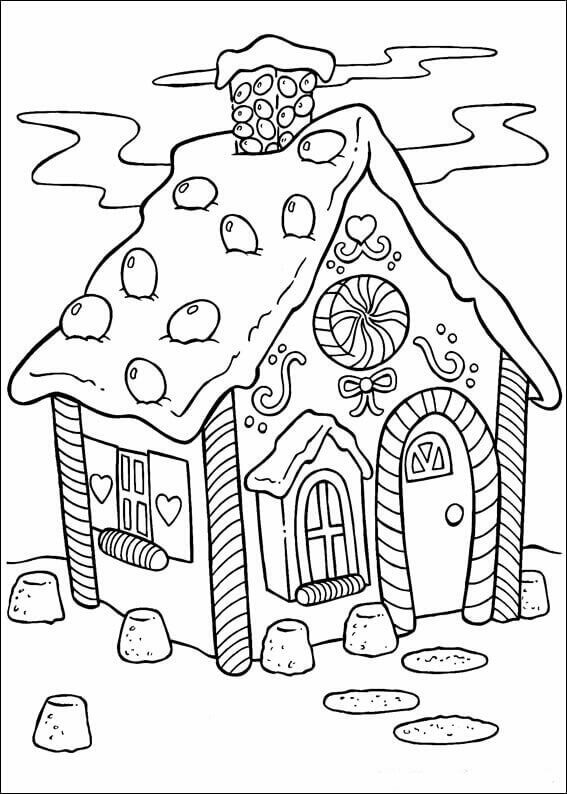 Congratulate him on his perfect gingerbread house by rewarding him with exciting colors. 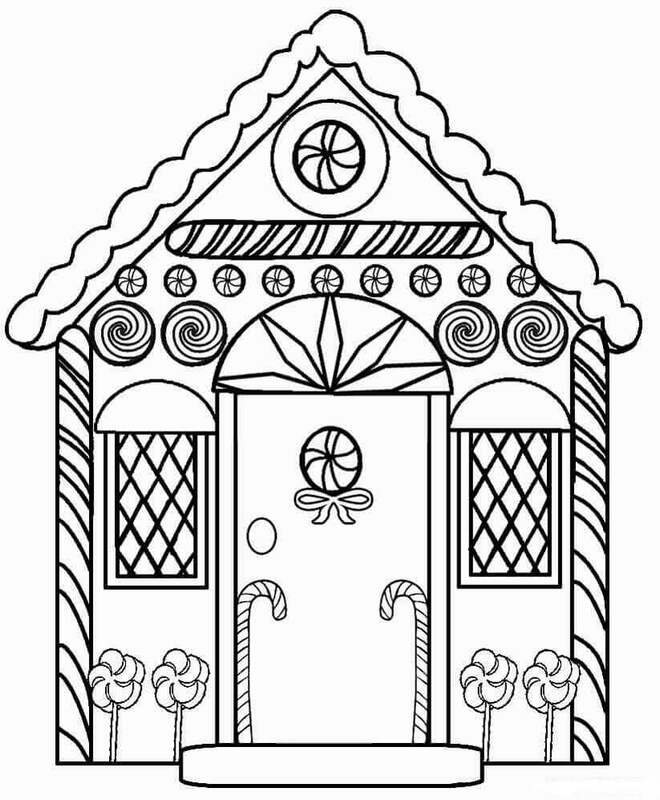 If simplicity is one of your virtues, then you will love this simple yet beautiful gingerbread house illustration on this coloring page. Neatly crafted with a simplistic design, you will have a great time bringing it alive with your coloring skills. On the other hand, if you like to go wild with your imagination, then we have the perfect gingerbread house for you. Can you imagine having doughnuts for your roof? Bring out your creative side with your own gingerbread creation. 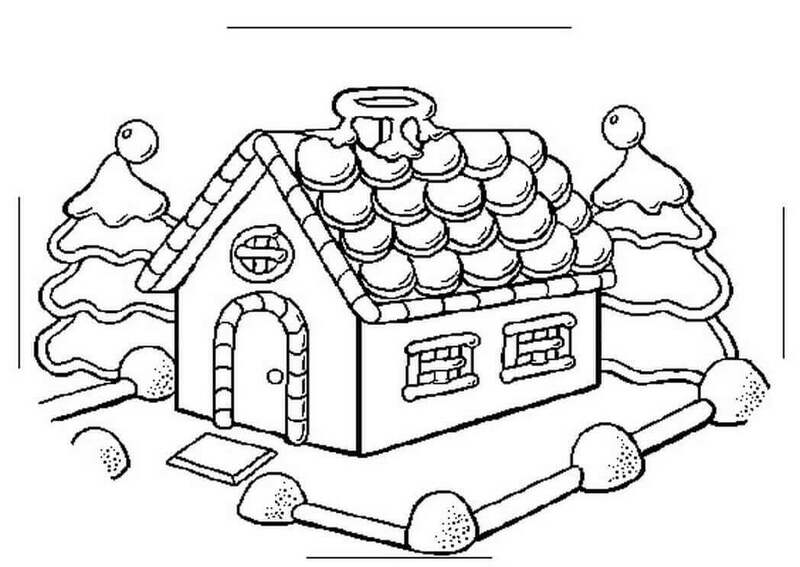 Get inspired by printing and coloring this unique gingerbread house. 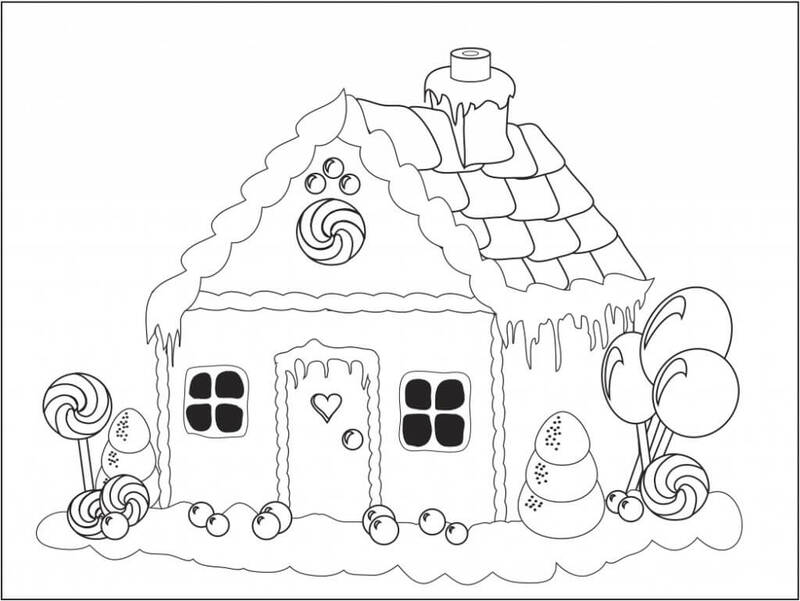 On that unique note, we conclude today’s special collection of gingerbread houses coloring pictures to print. Hopefully, you are now knowledgeable about the origin and history as well as inspired by the art collection of gingerbread houses to create your own masterpiece. If you are unsure about when to start, you can join several others on December 12, the unofficial National Gingerbread House Day to construct your dream gingerbread house.